Mine your own diamonds in Arkansas. The Crater of Diamonds State Park is the only operating diamond mine in the United States. It's also the only diamond mine in the world open to public prospecting. 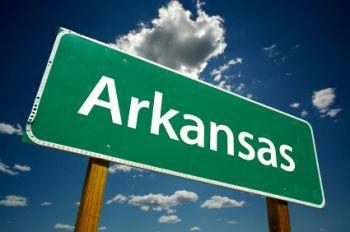 You can pay a fee to dig for uncut Arkansas diamonds and keep whatever you find. It all began in 1906 when farmer John Wesley Huddleston found two diamonds on his property. The find was on the slope of a crater and was only 37 acres of his 243-acre tract. His deeded property however covered over three-fourths of the volcanic crater. As soon as word got out about John Huddleston's find, diamond fever struck Pike County. He became known as Diamond John. Three separate magma formations were created in the crater nearly 100 million years ago and stretched across an area of 80 acres. The section that produced the most diamonds was located in the eastern half of the volcanic pipe that formed the diamonds. An astute banker who was also a lawyer, Samuel Reyburn from Pulaski County quickly optioned Huddleston's property. Reyburn formed a company of investors and soon secured options on the majority of the neighboring land to begin commercial mining operations. The only land Sam was unable to secure was located in the northeast sector of the crater and comprised approximately six acres. The Arkansas diamond find led to a lot of speculation based on the pipe's surface spread and diamonds being found on the surface. This surface area was larger than any pipe found in the largest diamond producing country of South Africa, so little attention was paid to the fact that the find was localized to only the southeastern section of the crater. Unfortunately, as time passed, the promise of a productive volcanic pipe proved to be less than one-sixth the amount of diamond yield necessary to sustain a commercial diamond company. Surface mining was discontinued after 1932. Between 1943 and 1944, the US Bureau of Mines gave in to requests to conduct a test of the Pike County diamond field. Less than 2 carats per 100 tons of mined material was discovered. The Diamond Corporation of America didn't feel the test was accurate and conducted its own testing of the diamond field between 1948 and 1949 and only found .02 carats per 100 tons. This ended the renewed interest in the diamond mine as a viable commercial mine. The Crater of Diamonds State Park opening in 1972 created a new frenzy of interest in the diamond field and possible other fields in Colorado and Wyoming border. Geologists reclassified the Pike County deposits and spawned speculation there was a possible mother lode buried within the big pipe with as much as 5 billion dollars worth of diamonds just waiting to be mined. In the late 1980s public pressure, based on expectation and speculation, once more motivated another testing of the field. In 1997, a private and state funded evaluation concluded there was only .57 carat per 100 metric tons yield of diamonds. After the report was released, the Arkansas State Parks, Recreation and Travel Commission proposed a 20-year ban for commercial testing but the legislature voted to change this to a permanent ban. Crater of Diamonds State Park is open to the general public. For a daily fee, you can come and go while you search for diamonds or any of the other forty gemstones found in the 37-acre, diamond, mining field. You can keep whatever you find. Over 75,000 diamonds have reportedly been found in the Crater of Diamonds. Most of the diamonds found are white, brown, or yellow. Nearly 60,000 people visit Crater of Diamonds State Park annually. 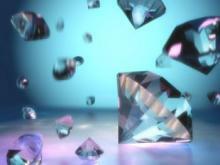 Approximately two diamonds are found daily. 40.23 carats - Uncle Sam was found in 1924. 16.37 - Amarillo Starlight was found in 1975. 4.25 carats - Kahn Canary discovered in 1977. It's of special interest that the Kahn Canary diamond was worn by Hillary Clinton during two gubernatorial inaugurations as well as the US Presidential inauguration of her husband, Bill. You can relive some of the excitement of the early days of Arkansas diamond mines by digging for your own sparkling treasures at the Crater of Diamonds. While you may not strike a mother lode, you will create a sparkling memory to treasure.